This station was originally set up under the Archimed Interreg IIIB Project, "Weather Risk Reduction in the Central and Eastern Mediterranean" (RISKMED). The participation in this project was coordinated by Prof. Aldo Drago, Head of the Physical Oceanography Research Group (PO-Res. Grp). The automatic realtime weather monitoring station is positioned on the tip of the Marsaxlokk breakwater at latitude 35°49'05.20"N and longitude 14°32'59.00"E at a height of 4.5m above mean sea level. The station is an addition to the meteo-marine observing system of the Physical Oceanography Research Group at the University of Malta. It serves to provide early warnings of adverse atmospheric conditions, especially for port operations and for the safer navigation of ships into and out of the port of Marsaxlokk. 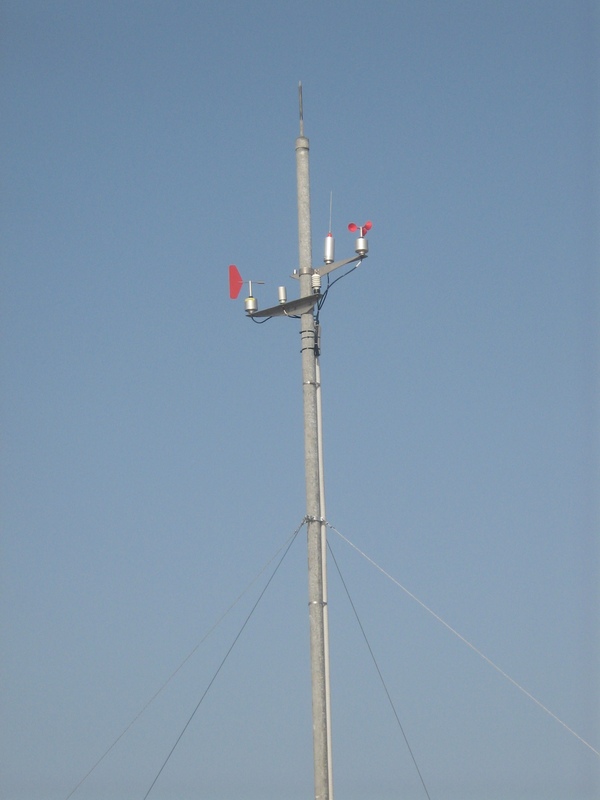 The station consists of robust sensors from Aanderaa Instruments measuring Wind Magnitude and Direction, Wind Gust, Atmospheric Pressure and Air Temperature every 2 minutes. Data is transmitted by UHF to a control station at the OilTanking Malta Ltd. premises, transferred by FTP to the server at the PO-Res. Grp centre, where it is quality controlled, elaborated and published on this webpage with updated charts every 2 minutes. Time on the station is synchronised every hour with a GMT Internet Time server. Agencies interested in subscribing for direct access to the data can contact Prof. Aldo Drago. Project part-financed by the European Union Community Initiative Interreg IIIB Archimed Programme.